The disconnect speaks volumes about where we are now relative to climate change. With his new book, which has quickly become a bestseller, Wallace-Wells wants to be the firefighter telling you your house is going up in flames right now. The Uninhabitable Earth: Life After Warming’s perspective can be neatly summed up through its opening line: “It’s worse, much worse, than you think.” Geist, standing in for all of us, seems stunned by the scale and urgency of the problem and wants to hear something that will make him feel better. 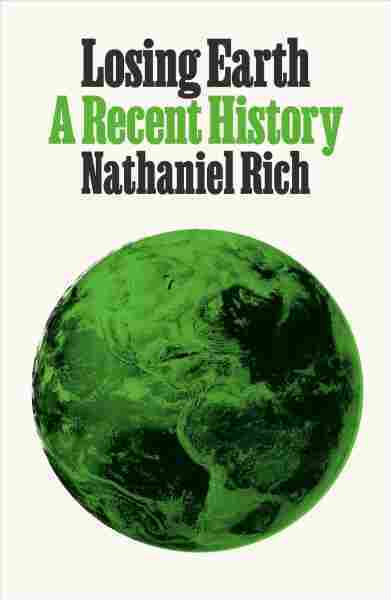 Feeling better is definitely not what’s going happen if you read The Uninhabitable Earth or a second new book on climate change, Losing Earth: A Recent History by Nathaniel Rich. But that doesn’t mean you shouldn’t read both them. We humans, and our project of civilization, are entering new territory with the climate change we’ve driven — and both books offer valuable perspectives if we’re committed to being adult enough to face the future. When climate scientists use their models to project forward, they see a spread of possible changes in the average temperature of the planet. Over the next century or so, the predicted temperature increase ranges from about two degrees to an upper limit of about eight degrees. Which path Earth takes depends on its innate sensitivity to the carbon dioxide we’re dumping into the atmosphere combined with — and most important — our own decisions about how much more carbon dioxide to add. In Losing Earth, Rich wants us to understand how policy makers learned of, and then ignored, the grave risks these paths represent for our future. 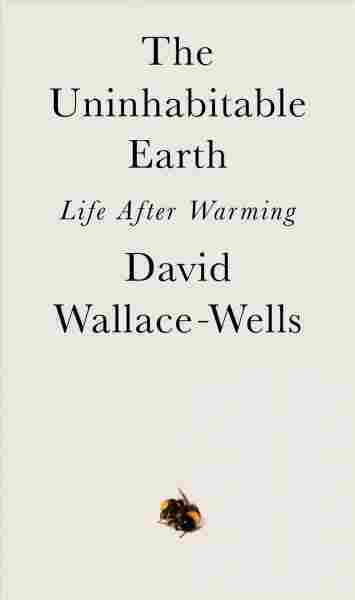 In The Uninhabitable Earth, Wallace-Wells wants us to understand just how bad that future may get. The point for humanity is that with every degree of warming, we get further from the kind of world we grew up in. For Wallace-Wells this is not just a matter of where you can go skiing in 2040. The Uninhabitable Earth focuses on the potent cascades that flow through the entirety of the complex human-environmental interaction we call “civilization.” So, when Wallace-Wells talks of economic impacts, he cites a study linking 3.7 degrees of warming to over $550 trillion of climate-related damage. Since $550 trillion is twice today’s global wealth, the conclusion is that eventually rebuilding from the “n-th” superstorm will stop. We’ll just abandon our cities or live within the ruin. The Uninhabitable Earth also gives us similar visions of rising hunger and conflict. If today’s refugee problems are straining political systems (the Syrian crisis created 1 million homeless people), Wallace-Wells asks us to imagine a global politics when more than 200 million climate refugees on are on the move (a UN projection for 2050). The picture The Uninhabitable Earth paints is unsparingly bleak. But is it correct? Prediction is difficult, as Yogi Berra noted, especially about the future. One criticism of the book is that it favors worst-case scenarios. Indeed, when it comes to extrapolating the human impacts of climate change, researchers must rely on separate models of the planet, its ecosystems and, say, human economic behavior. Each has its uncertainties and each yields not one river-like line for the future but, instead, a spreading delta of possibilities. When the models are combined, the uncertainties compound making risk-assessment a difficult task. For a scientist like myself, that means we have more possible futures than the one described in The Uninhabitable Earth. To me, this is one of the great strengths of The Uninhabitable Earth. It’s the recognition that we are already quite far down the road toward a different kind of Earth. Most importantly, keeping civilization up and running on this new version of the planet will depend on our collective actions right now. Wallace-Wells’ instinct for telling this story is, more than anything, what makes the book worthwhile. No matter how you respond to the stories of climate past and climate future that these books tell, their very appearance may portent the beginning of a cultural transition. As the wild fires and flooding of the last few years demonstrate, climate change isn’t just an idea anymore. Now it’s something we all see playing out on the news everyday. We are, indeed, in uncharted territory — and we’ve just started down this road. Given that certainty, whatever hope we can find for the future will be the hope we create.